Secrets of Eternity, known as The Secret of Evolution in the OCG, is a Booster Pack in the Yu-Gi-Oh! Official Card Game (OCG). It is the third set in the OCG's 9th series, following The New Challengers. Contains 80 cards in the main set, plus 10 Japanese World Premiere cards. 6 Ultra Rares, 10 Super Rares, 20 Rares, and 54 Commons. The Ultra Rare and Super Rare cards are also available as Secret Rare. Includes cards used by Yuya Sakaki. The TCG version contains members/support for the "Burning Abyss", "Gem-Knight", "Monarch", "Morphtronic", "Qliphort", "Superheavy Samurai", "Volcanics" and "Wind-Up" archetypes and series. This is OCG booster pack. TCG version will be almost like OCG one but it won't contain the 10 Japanese World Premier cards. Indeed, it will contain 10 TCG World Premier Card and 10 OCG Previouis Exclusive cards. ①: You can activate this effect when this card is successfully Normal Summoned. Select 1 Level 4 or lower "Entermate" Monster in your hand or Graveyard and Special Summon it. ①: You can activate this effect by Releasing this card. Select 1 "Polymerisation" from your Deck or Graveyard and add it to your hand. ①: You can activate this effect once per turn during your Main Phase. You can send from your field to the Graveyard, Fusion Material Monsters listed on a Fusion Monster and Fusion Summon that 1 Fusion Monster from your Extra Deck. This card cannot be Normal Summon or Set. This card cannot be Special Summoned except from the hand by removing from play 1 "Infernoid" Monster in your hand or Graveyard, while the combined Level/Rank of all Effect Monsters you control is 8 or lower. ①: Once per turn, you can activate this effect by targeting 1 face-up card your opponent controls. Return that card to its owner's hand. ②: Once per turn, during your opponent's turn, you can activate this effect by Releasing 1 Monster you contol and targeting 1 card in your opponent's Graveyard. Remove that card from play. This card cannot be Normal Summon or Set. This card cannot be Special Summoned except from the hand by removing from play 1 "Infernoid" Monster in your hand or Graveyard, while the combined Level/Rank of all Effect Monsters you control is 8 or lower. ①: Once per turn, you can activate this effect by targeting 1 Monster on the field. Destroy that Monster. During the turn you activated this effect, this card cannot attack. ②: Once per turn, during your opponent's turn, you can activate this effect by Releasing 1 Monster you control and targeting 1 card in your opponent's Graveyard. Remove that card from play. This card cannot be Normal Summoned or Set. This card cannot be Special Summoned except from your hand by removing from play 3 "Infernoid" Monster in your hand or Graveyard, while the combined Level/Rank of all Effect Monsters you control is 8 or lower. ①:You can activate this effect when this card is successfully Special Summoned. Destroy all other Monster on the field. ②: Once per turn, when the effect of a Magic or Trap Card is activated, you can activate this effect by Releasing 1 Monster you control. Negate the activation and destroy that card. ①: You can activate this effect if this card is successfully Normal Summoned. Special Summon 1 "Hermit Youkai" from your Deck, except a "Hermit Youkai Magatsusenran". ②: Activate this effect during the End Phase this card was Special Summoned. Return it to its owner's hand. You can only Special Summon 1 "Noble Spirit Beast Rampenta" per turn. ①: Once per turn, you can activate this effect during your Main Phase. Remove from play 1 "Spirit Beast" Monster from your Extra Deck, and send 1 "Spirit Beast" Monster with the same Type as that Monster from your Deck to the Graveyard. Can be Ritual Summoned with a "Necloth" Ritual Card. This card can only be Special Summoned by Ritual Summon by using Non-Level 7 Monster and cannot be Special Summoned by other way. You can activate ① and ② of "The Necloth of Gungnir" each only once during either player's turn. ①: You can activate this effect by discarding this card from your hand, and targeting 1 "Necloth" Monster you control. During this turn that Monster cannot be destroyed by battle or card effects. ②: You can activate this effect by discarding 1 "Necloth" card, and targeting 1 card on the field. Destroy that card. 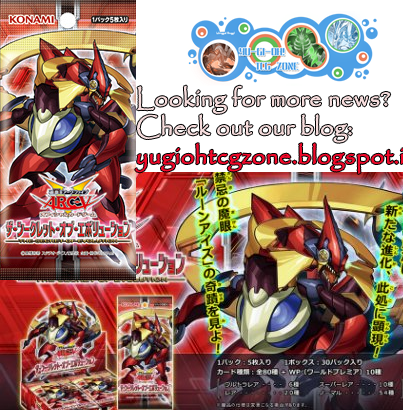 ①：This card gains the following effect based on the original Level of the Fusion Material Monster used to Fusion Summon this card, other than "Odd-Eyes Pendulum Dragon". ②：During the turn this card was Fusion Summoned using a Pendulum Summoned monster(s) as a Fusion Material, it is unaffected by your opponent's card effects. ①: You can activate this effect during your Standby Phase. Special Summon 1 "Infernoid Token" (Demon-Type/FIRE/Level 1/ATK 0/DEF 0) to your field. ②: If you would Special Summon an "Infernoid" Monster by its own effect, you can remove from play "Infernoid" Monster you control. ③: Your opponent cannot target "Infernoid" Monster you controls for attacks or effects, except the "Infernoid" Monster(s) with the highest Level. Equip only to a "Dragunity" monster. It gains ATK equal to its Level x 100, also it is unaffected by Trap effects. During your Main Phase: You can equip 1 Dragon-Type "Dragunity" Tuner monster from your Deck to the equipped monster. You can only use this effect of "Dragunity Spear of Destiny" once per turn. ①: You can activate this effect during the Standby Phase. Send 2 "Infernoid" Monster from your Deck to the Graveyard. ②: Send this card to your Graveyard if you control a Monster other than a "Infernoid" Monster.